A Truly Flexible IP Camera Solution. Turn Low Profile to Stealth Mode. MegaVideo Flex camera series offers a cost-effective security solution for installations that require a flexible, compact design. 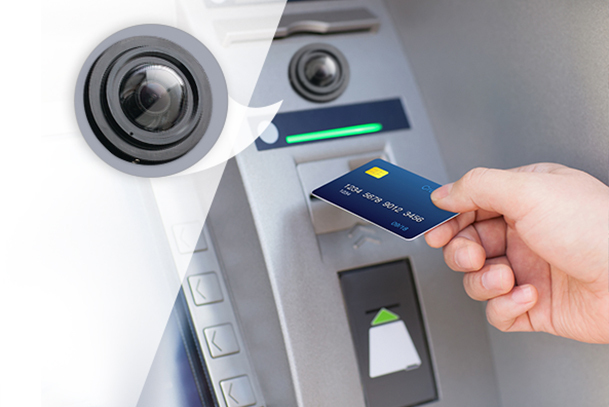 Due to its small footprint, the MegaVideo Flex easily fits into leading automated teller machines and tight spaces. These stylish indoor cameras feature a choice of 1.2MP, 1080p, 3MP, and 5-megapixel (MP) resolution options and a unique tethered USB cabling design that allows the camera to be mounted in one area while the main unit is mounted up to 40ft (12m) away. What separates MegaVideo Flex from typical surveillance IP cameras is its innovative tethered cabling sytem, which allows the sensor and optional IR units to be installed up to 40 feet away from the main camera box. In some instances, the camera box could theoretically be installed inside a wall that is opposite of the sensor unit, or in another room entirely. At the opposite end of the spectrum, the MegaVideo Flex sensor and IR units can be installed in very small spaces, where even some of the smallest all-in-one IP cameras cannot fit. 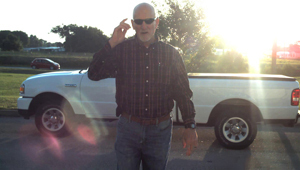 All the while, the camera box can be installed in a completly different area. Hover over numbers to learn more. Optional IR ModulesUp to two IR module units canbe connected and positioned separately to create the optimal low light setup for the camera. 40-Foot Long Micro USB CableThe main box unit can be up to40 feet away from the camera sensor unit, allowing it to beinstalled in a separate area entirely. Innovative Tethered USB DesignThe tethered Micro USB interface of MegaVideo Flex breaks new groundfor IP megapixel cameras, creating new discrete surveillance possibilities. Box Unit with Onboard Storage The box unit contains the sensor board and all other mechanics of the camera, including an SDHC card slotfor onboard storage. MegaVideo Flex can be installed without locally adjusting the focus of the sensor. Remote focus can be controlled through the camera webpage. Just click “short range focus” or “full range focus” to get a clear image. 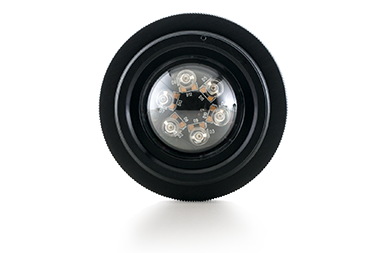 A MegaVideo Flex installation can be configured with up to two optional IR modules that utilize the same housing as the sensor. This allows for advanced illumination setups in dark spaces to achieve the best image details. 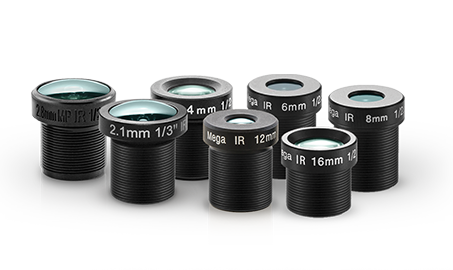 The Remote Focus mechanism on MegaVideo Flex has been designed separate from the lenses, allowing users to swap lenses easily from a choice of multiple lens options ranging from 2.1mm to 16mm. Possible Solutions – Versatile Verticals. MegaVideo Flex opens new doors to vertical market applications that previously have been difficult for installation, and in some cases, impossible. On the note of “doors”, the MegaVideo Flex can be mounted in door frames as well as height strips at banks and retail stores. ATMs and gas pump credit card readers can utilize the MegaVideo Flex to catch theifs attempting to install card skimmers. Forklifts in warehouses can be equipped with the MegaVideo Flex, and so can gurneys in hospitals. The list goes on, making the MegaVideo Flex as flexible in application as it is for installation. ATMs have become a beacon for identity theft and fraud. Card skimmers are being use to capture a victim’s personal and bank account information on a regular basis. 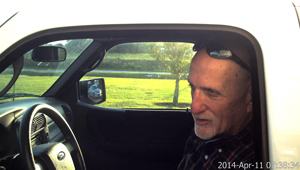 MegaVideo Flex can help catch thieves with strong facial recognition as they try to install card skimmers or use a card that was reported as stolen by the victim. 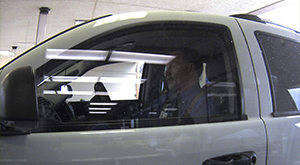 In retail and banking environments, height strips are now commonplace assets to help witnesses determine the approximated height of a criminal during an incident. They are also great installation locations for MegaVideo Flex to capture surveillance footage and possibly facial recognition of the criminal as they try to make their getaway. 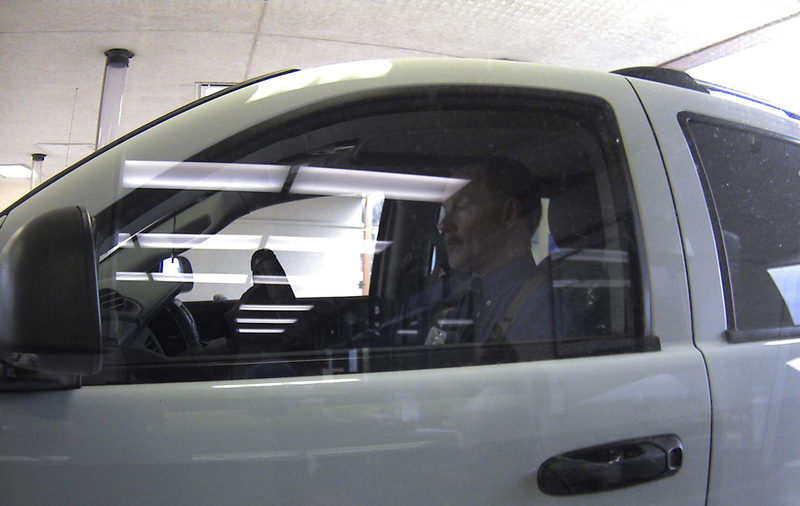 Safety for employees working drive-thru windows is just as important as safety for customers. 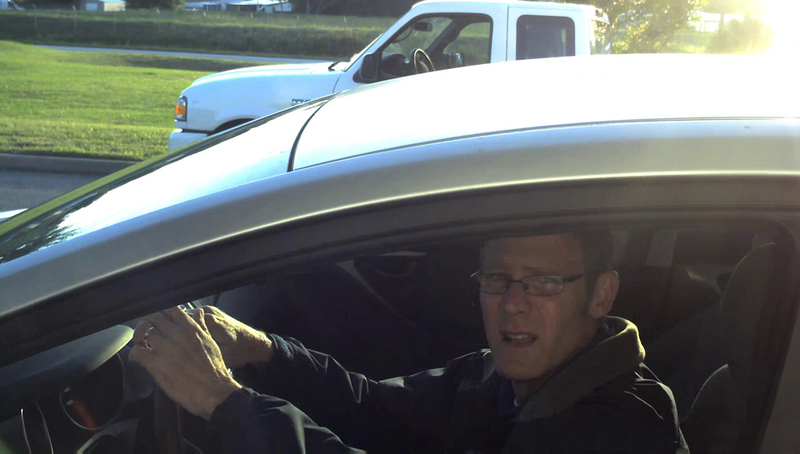 MegaVideo Flex installed at a drive-thru window can capture actions of drivers with malicious intentions, such as driving off with free food, attempting a robbery, or even demonstrating hostile behavior. Some rooms and offices need security while being discrete and low profile. Maybe the need is for a simple surveillance solution mostly to track who is coming, going, or passing through a particular area without having larger cameras visible. 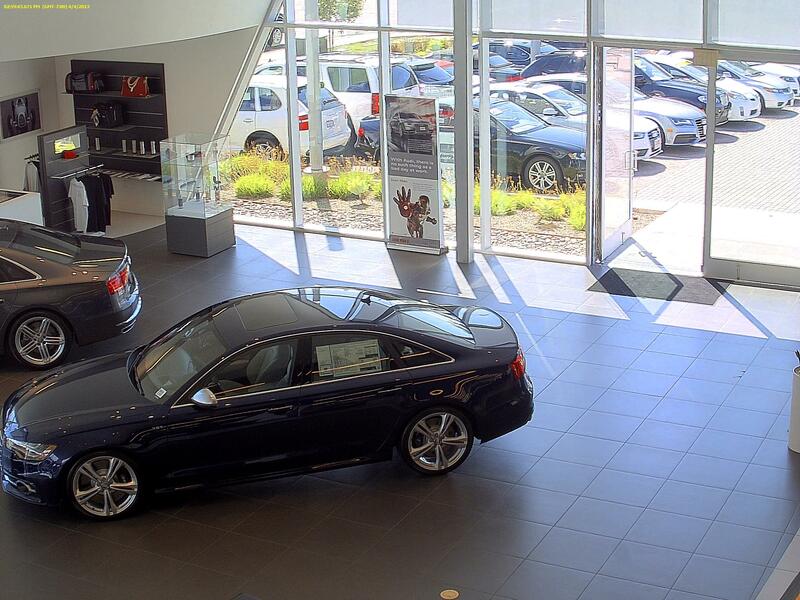 The MegaVideo Flex can provide unobtrusive surveillance wherever necessary. Theft and vandalism in art galleries and museums can be a real problem, especially considering that the items on display are often priceless. Getting the right point of view to catch a vandal defacing a painting or walking away with a small artifact can be accomplished with the very discrete, unobtrusive surveillance offered by MegaVideo Flex. 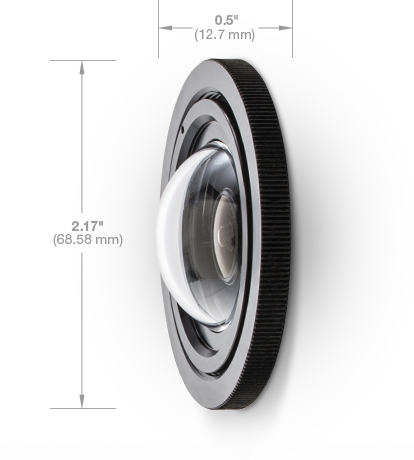 MegaVideo Flex reaches an entirely new level of discrete sureveillnace with an above-surface footprint of 2.17 inches in diameter wide and only 0.5 inches high. This makes MegaVideo Flex our most low profile/smallest footprint camera solution to date. This allows the opportunity to install MegaVideo Flex in very small areas, including the inside of ATMs and gas pumps, where theves tamper with the wires of the machine and attempt to install card skimmers. 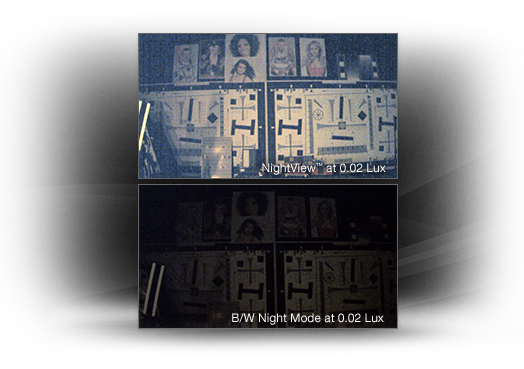 For challenging low-light applications, the 1.2MP NightView™ model offers best-in-class light sensitivity capturing details in extreme low-light (0.002 lux in monochrome) at an incredibly high frame rate of 37 frames per second. 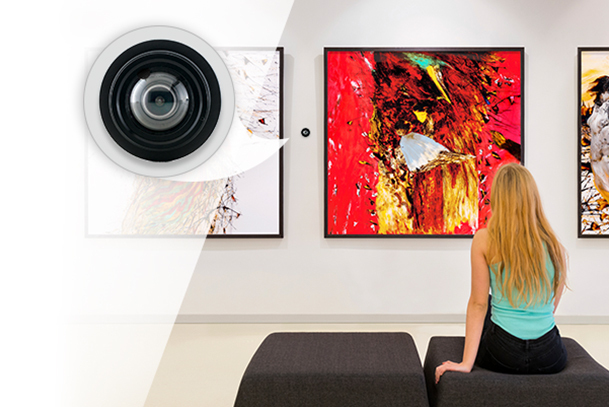 For applications with strong backlighting, reflections from wet flooring/puddles, or contrast due to fog, mist, or glare, optional wide dynamic range is available on some 1080p and 3MP models. 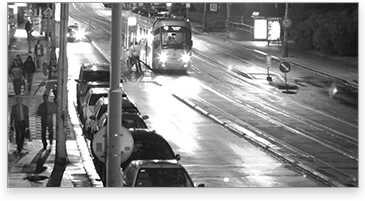 Arecont Vision’s WDR technology delivers a dynamic range of up to 100db at full resolution, without lowering frame rates. Wide Dynamic Range produces clear images in extremely challenging lighting conditions by maximizing the amount of detail in both bright and dark areas of a scene. 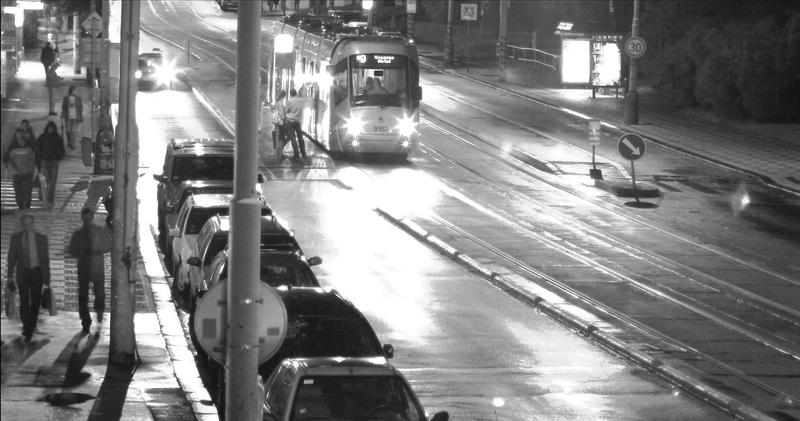 As part of their superior True Day/Night operation, MegaVideo Flex series cameras include low-light enhancing technology with a mechanical IR (infrared) cut filter, pixel binning and adaptive noise-cancellation. Day/Night capability automatically switches from color to black/white operation to increase sensitivity and image clarity at night or in unlit spaces. 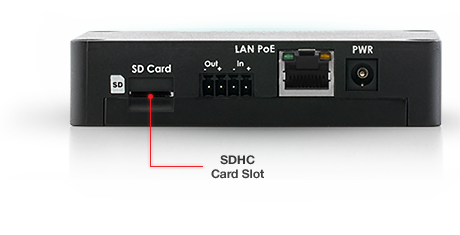 Onboard storage provides an easy back-up or stand-alone solution for storing data. The SDHC card slot on the MegaVideo Flex main unit supports up to 32GB of storage capacity. 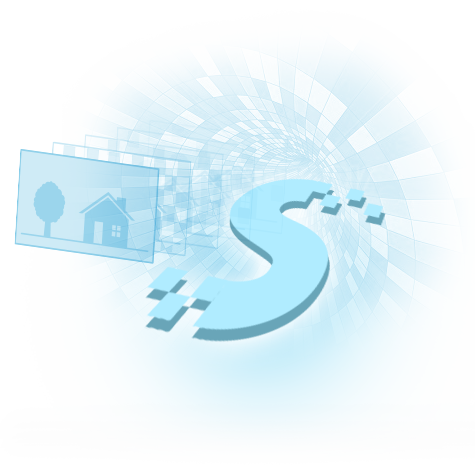 With CorridorView™, MegaVideo Flex can rotate or flip pixels in 90° increments. 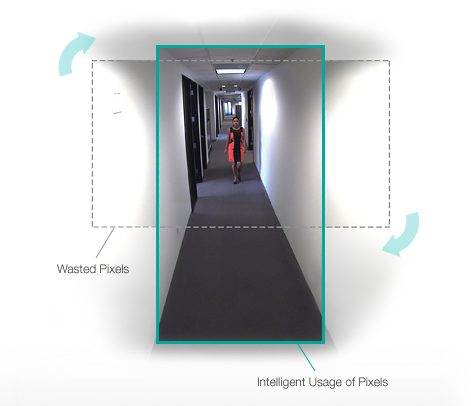 This works great for narrow hallways where pixels are often wasted capturing the surrounding walls. 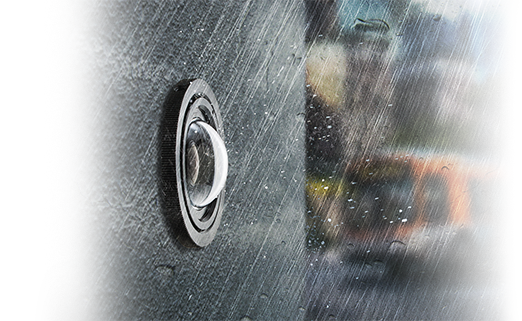 MegaVideo Flex is water resistant on the front surfaces of the sensor unit and optional IR units, making the front surfaces suitable for outdoor installations that experience wet and rainy conditions.